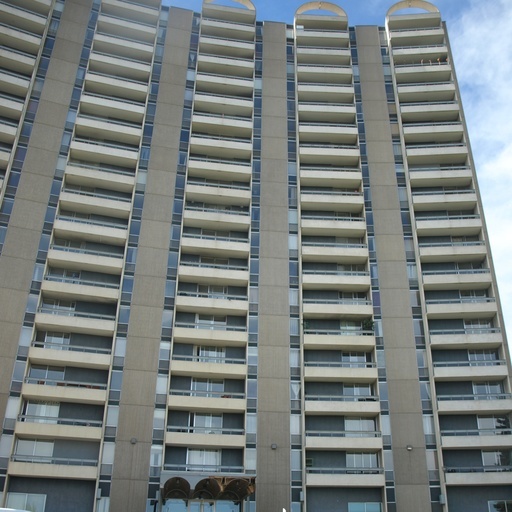 Located on the corner of Saskatchewan Drive and 109 Street, overlooking the famous Edmonton River Valley lies the great building. Living here means easy access to the Downtown Core and even the University of Alberta, plus you'll enjoy the multitude of walking/biking trails in the River Valley as well as Kinsmen Park that are just seconds away! Behind the building, along 109 Street, you'll find tons of cafes, diners and unique retail, plus a few blocks south is historic Whyte Avenue. Whether you're driving or taking transit this location is perfect for any commute! The building not only offers a premium location but is filled with amenities including a large fitness room, a beautiful courtyard with a communal BBQ and even an indoor pool! The condo itself offers a massive living room, with tons of natural light plus a beautiful view of the bustling 109 Street and 87 Avenue intersection. Off the living room is a spacious kitchen with tons of counter and cupboard space. The kitchen includes a fridge, a stove and even a dishwasher! The large bedroom has enough space for queen size bed and dresser plus it has a large built-in closet. A full bathroom with tub shower, as well as an additional three storage closets finish off this great unit. Heat and water, along with one parking stall are included in the rent.